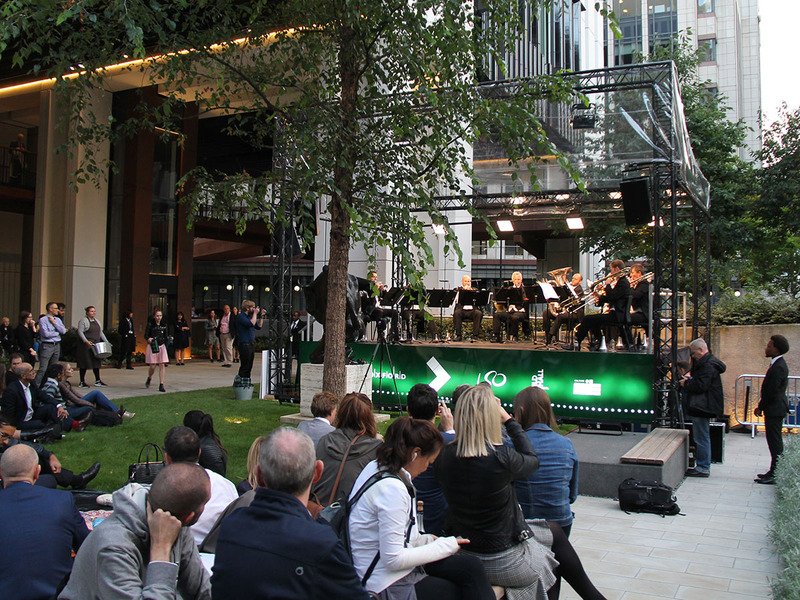 London Wall Placed hosted the London Symphony Orchestra 10-piece Brass ensemble in a free rush hour concert organised by Brookfield Properties and Oxford Properties. 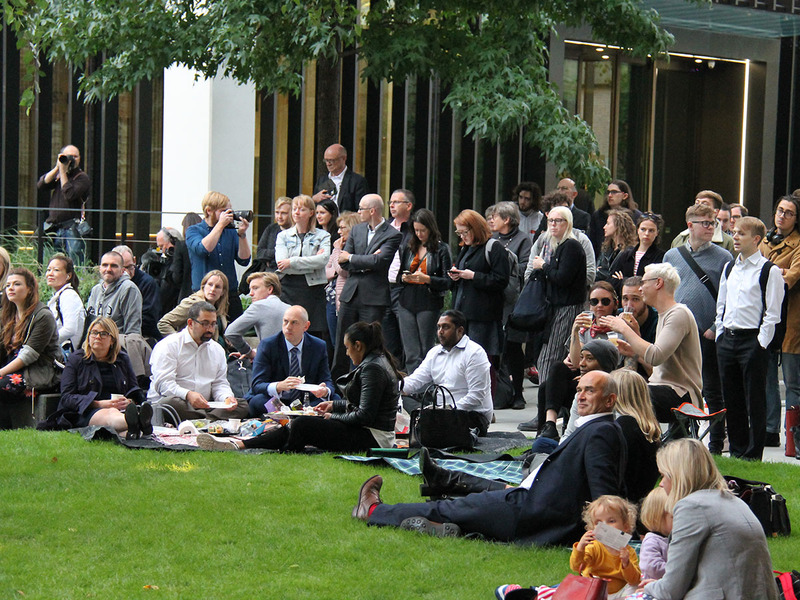 Passer-by’s were treated to music by Greig, Gershwin and Gomm. 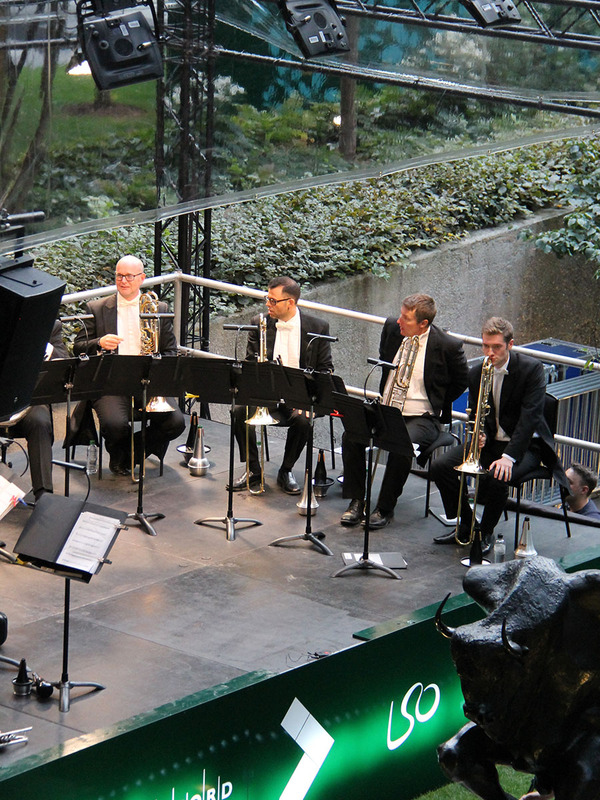 The multi-leveled landscape was a perfect acoustic setting with the audience on blankets on the lawn, surrounding seating to the highwalk above acting as upper circle. 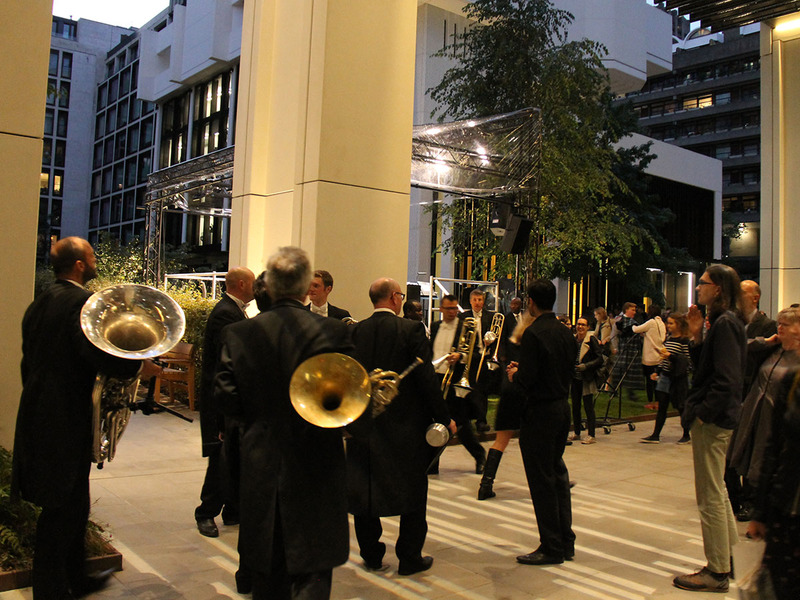 We look forward to many other future events at London Wall Place.